In this post, read the mistakes to avoid day trading or Intraday equity, options and futures trading. Also read other intraday mistakes traders do. Any novice equity investor or trader does these mistakes when they start investing or trading the stock markets. Even I have done these mistakes. Hell I lost 7 lakhs. Though 7 lakhs looks a small amount, percentage wise, it was 99% of my savings. I had to take a Rs. 1 lakh loan to survive at a time when we were expecting our first child and looking for a bright future. Life was hell at that time. Thank God things have improved now. You can read about the mistakes I did in stock trading here. Just because brokers give a lot of margin on Intraday day trading does not mean you should take benefit for it. Since I get a lot of calls from novice Intraday traders I know what most of them are doing. They want to start with Rs.10,000/- and want to make Rs.50,000 a month. That’s a return of 500% a month. No doubt why they get trapped seeing ads of tip providers who tell them to make Rs.10,000 everyday by investing just Rs.5000. Avoid these traps to save your money. Please understand these kind of returns are impossible to get over long term. 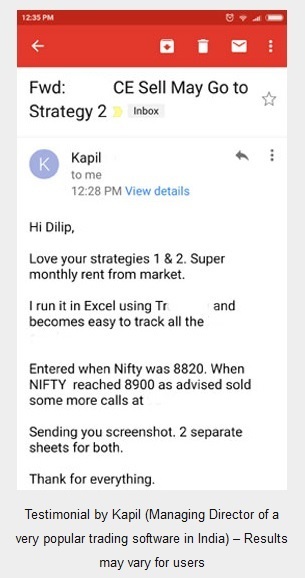 May be ten or twenty days in a year you may make 200% to 300% return in a single day, but over a year which has 250-252 trading days, you will be in huge loss, if this is what you are trying. Do not try to attempt to make 100% return in a day or a month. You will fail. Stock trading is a business. There is risk involved and stock trading is NOT Get Quick Rich business. Even traders like Rakesh Jhunjhunwala, who is worth more than Rs.220 crore, did not try to make 100% a year. These great traders know there is no point in running after something which is impossible to get. They make money slowly but compound it over long time to create huge wealth. Great traders and investors are very patient and know it will take years to create a lot of money. Margin given on Intraday trading under MIS (Margin Intraday Square-off), is more than margin given for overnight positional trading under CNC (Cash N Carry). This is the reason traders try to take too much leverage on intraday day margin given. This is pure greed psychology. Mindset of a Intraday day trader is – we will make more on very less money and very fast in a single day itself. In real world, there is no business in the world that will generate too much money with too little money. If this was possible Mukesh Ambani would be an Intraday trader. Why work so hard to make money? For such a rich person like him, he can invest one hundred crore everyday, and make two hundred crore everyday. Do you really think its possible? If this was possible, in this world there would be no Doctors or Engineers if Intraday day trading would have resulted 100% return everyday. First let us see if it is true that more margin is given in MIS (Margin Intraday Square off) trading. This image was generated real time at 10.30 am, on 28-04-2017. 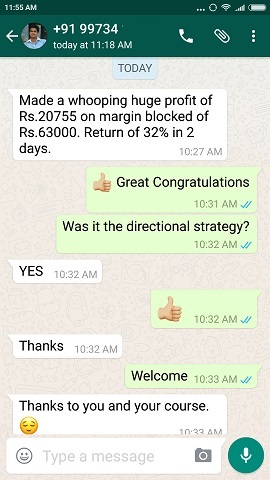 As you can see for positional trading CNC, there is only 1 time margin, but for MIS (Margin Intraday Square off) trading, 14 times margin is given. Assuming Reliance Ltd. is at 1400, cash available with trader is Rs.10,000/-. So total he/she can buy: 10,000/1400 = 7 Shares. For MIS intraday margin the trader is allowed 14 times margin. So total he/she can buy/sell: (10,000*14)/1400 = 100 Shares. Do not know why the calculator is showing 102, but that is not important. What is important is that for Intraday trading 14 times margin is given. The trade will be automatically closed by the system at around 3.15 – 3.20 pm, even is the trader forgets to close the trade. Historically it is seen that in one trading session a stock rarely moves more than 5%. Let say at 9.30 am the trader bought 100 shares of Reliance Industries Ltd. for intraday trading. At 3.00 pm the stock fell 5% and is at 1330. The trade is closed in panic by the trader. As you can see even in a huge downfall of 5% intraday, the money lost was well within the margin required for trading. Please note that for more volatile stocks less leverage is given. As I can see, for Bajaj Financial Service Ltd., only 3 times margin is given for intraday trading. Brokers see historical movement data intraday for any stock, then decide the margin to be given for intraday trading. Less volatile stock, more margin. More volatile stock less margin. Please note that for CNC (Cash n Carry) positions, all stocks get 1 time margin only, because for CNC positions the stock has to be delivered to the buyer. For CNC (Cash n Carry) positions, shorting a stock is not allowed. Here are the reasons why. For option buy positions, full margin is blocked. It does not matter if it was closed intraday or the trade was taken overnight to next day or until expiry. For option selling, and future trades buy or sell, the brokers may block different margins for intraday and overnight positions. It is obvious that for intraday less margin is blocked, and for overnight positions more is blocked. So the real reason why for intraday day trading (MIS) less money is blocked is not because that the traders can make more money, but because that there is less risk for the brokers. Unfortunately most intraday traders fall for greed and try to make too much money from too little money, forgetting that if they can make 14 times the money, they can also lose 14 times the money. Keep this in mind before taking any intraday trade. That is the reason I have stopped trading intraday trading, and have become a complete conservative option trader. 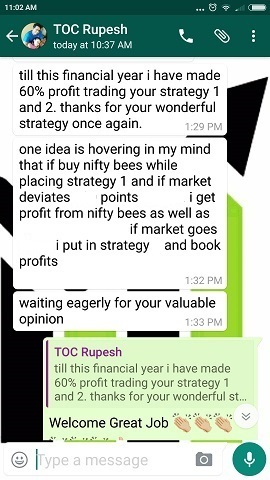 Right now while writing this at 11.09 am on 28-Apr-2017, I know the hedge trade is protecting my capital, so I am not much bothered about my traders. At 2 pm I will see. Do not forget that it is all positional trading, there is no need to keep watching the markets every second like intraday traders. 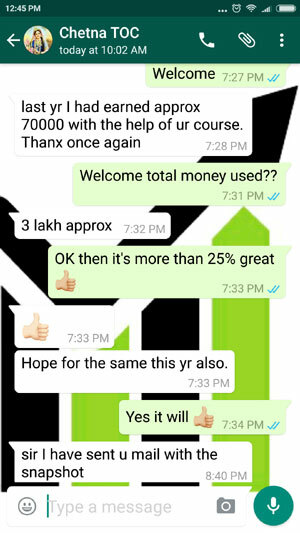 Intraday trading never make person rich but broker definitely becomes rich…. Thanks for your good and real information. Fantastic explanation, thanks Dilip ji……. I must admit your Blog is informative & will help beginners.